Following a national search, Global Women is pleased to announce the appointment of Siobhan McKenna as its new Chief Executive commencing March 2019. The Board believes Siobhan has the leadership skills, experience and influence to lead Global Women in the coming years and to contribute to the range of diversity and inclusion initiatives Global Women leads. Siobhan (right) has a broad background in business, including media, digital and utility sectors and was founder and CEO of MediaWorks Interactive. 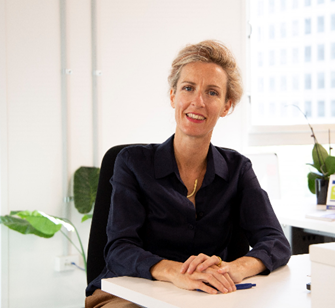 She has held leadership positions in a global management consulting company, working in a variety of international markets and has most recently been leading transformation initiatives in part of the education sector in New Zealand. Siobhan was also appointed a Future Director with Ports of Auckland in 2017. She has a particular interest in how business is led and organises itself within a context of what can feel like relentless change. Siobhan says, ‘how the work gets done within organisations is evolving – of greater impact than technology are the expectations of those who do the work. As an organisation established to help positively support other organisations, I see Global Women helping to highlight with insight the shift from what has been to what is becoming. My sense is that diversity in the workplace is not just about having a mirror to reflect the face of our customers today, but also the windows necessary to see and prepare tomorrow.’ Siobhan is enthusiastic about the role Global Women is uniquely positioned to play to support New Zealand’s continued success by improving diversity and inclusion in New Zealand workplaces. The Board is grateful to Miranda Burdon for her outstanding leadership during her tenure and for her continued commitment to ensure a seamless transition. A farewell for Miranda is scheduled in Auckland late February, hosted by Westpac’s Chief Executive and Co-Chair of Champions for Change, David McLean. We look forward to another year of progress with Diversity and Inclusion initiatives in Aotearoa.